Well...we were scheduled to leave DC at 2pm, but our Congressional Breakfast was over at 9:30. So we decided to leave on the 12 noon bus. 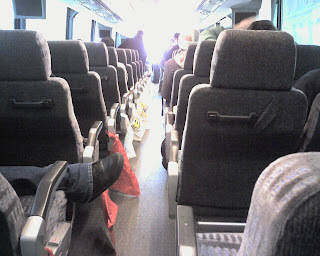 We have more passengers than when we came, but we still all have our own seats. It looks like we will be taking the bus to the Union Convention in Boston in July.